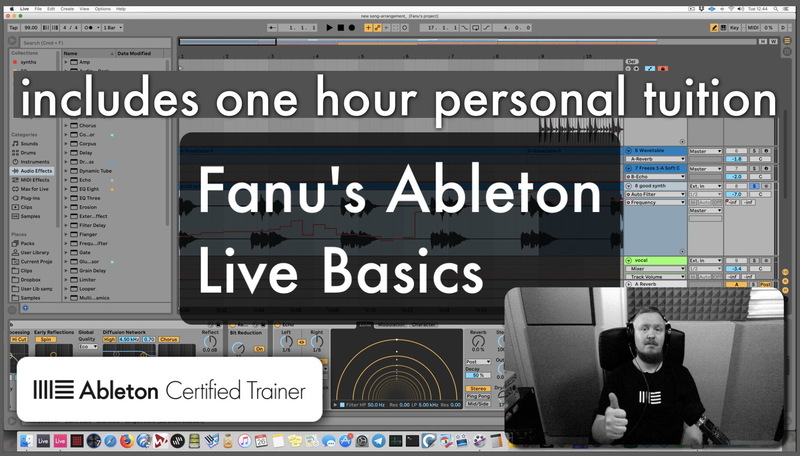 This is the same as Ableton Live Basics video, but you get one hour or personal tuition from Fanu, an Ableton Certified Trainer via Skype (or other app of your choice). Tuition can cover any topic and not just the topics covered by the Basics video: feel free to ask anything relating to Ableton Live / music production / audio engineering in general. Topics to be discussed beforehand. Got a question / want to arrange the tuition session? Email Fanu. • Read about content before purchase. Questions about content? Email Fanu.